U.S. President Donald Trump and China’s Xi Jinping agreed Saturday to suspend any new tariffs in the escalating trade war between the world’s two largest economies, even if huge existing duties will remain in place. The differences in statements by China and US show that the agreement is just wishful thinking. 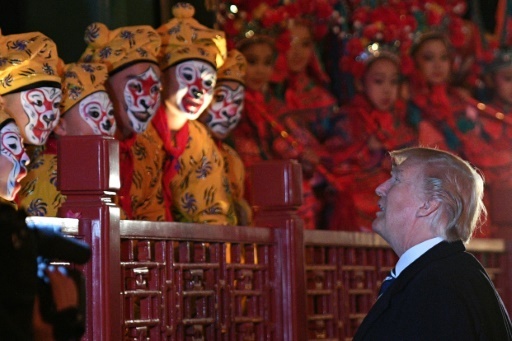 Xi avoids further immediate pressure on China’s slowing economy, while Trump — scarred by last month’s midterm elections that saw the Democrats regain control of the House of Representatives — can ease damage to agricultural U.S. states that export to China, particularly soybean producers. Meanwhile, China has targeted $110 billion worth of U.S. imports for tariffs. The White House made clear that the 10 percent tariffs would still leap up to 25 percent if China doesn’t meet U.S. demands in 90 days. On the U.S. side at the dinner, Trump was accompanied by advisers such as Larry Kudlow and Treasury Secretary Steven Mnuchin, who are widely seen as wanting a deal. But hawkish advisers like Peter Navarro and U.S. Trade Representative Robert Lighthizer were also present. How to Make Right Decisions?